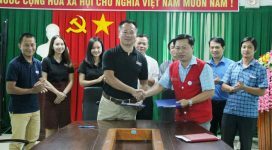 On Tuesday local Quang Tri residents made two urgent phone calls to Project RENEW’s hotline to report their discovery of wartime ordnance, and to ask for assistance. 35-year-old Hoang Van Ty, a villager in Trieu Van Commune of Trieu Phong District, was preparing land to build a temple in the village cemetery when he encountered unexploded ordnance (UXO). He reported the discovery immediately to commune military officer Nguyen Van Lam, who used his mobile phone to call to Project RENEW. Within an hour EOD Team No. 2 was dispatched to Trieu Van Commune where military officer Nguyen Van Lam led the team to the villager who found ordnance. Together they returned to the site where team members used detectors to check the area. They found a total of 79 items of UXO, mainly 40mm grenades (also known as M79 munitions). All these items of ordnance were later transported to RENEW’s Central Demolition Site for safe destruction. 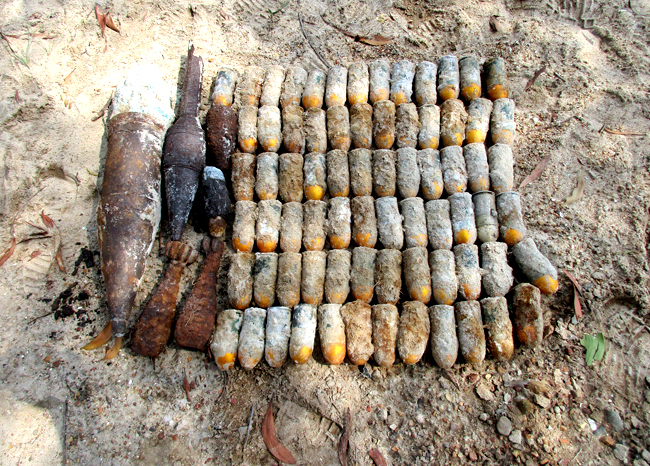 Meanwhile in Hai Truong Commune of Hai Lang District, a farmer also found ordnance that had been exposed after torrential rains on his plantation, and he called to RENEW’s hotline. 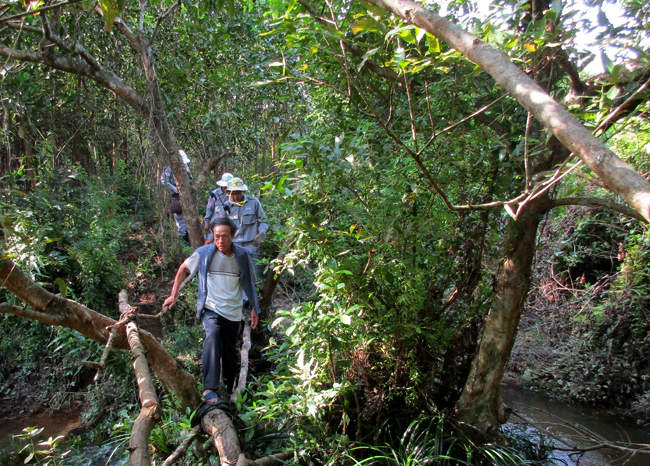 56-year-old Truong Quang The’s plantation is in Hau Truong Village, where he is planting young acacia trees. Acacia is the main source of income for many local villagers and it takes fewer years to harvest than other trees. Project RENEW’s EOD Team No.1 was tasked to respond to Mr. The’s UXO discovery. The farmer waited for the team and led them to his plantation, pinpointing the site. Investigating, the team found five mortars and two projectiles and transported them to RENEW’s Central Demolition Site for destruction. During the first nine months of 2015, 498 UXO discoveries reported by local people to Project RENEW’s toll-free hotline number have resulted in more than 1,700 items of cluster bombs, grenades, mortars and projectiles being safely destroyed by our mobile EOD teams. 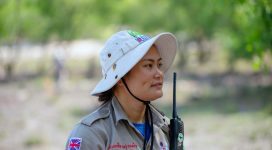 Trung said participation by local children and adults in the Community Reporting Network – calling in findings of ordnance quickly and accurately – triggers immediate response from EOD teams. 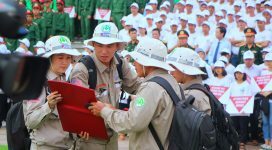 “That is a key factor in our work to make Quang Tri Province safe from the threat of unexploded ordnance,” Trung said.